Recreational marijuana businesses are welcome to set up shop on the main streets of Boston, but cannot cluster near one another, under new rules approved by city zoning officials Wednesday. Approved by the Boston Zoning Commission on an 8-1 vote, the regulations will allow retail marijuana shops, growers, and other state-licensed cannabis operations to open in any of the city’s business districts, unlike other communities that have steered pot companies away from high-traffic areas. Marijuana industry players lauded the measure, saying it sets the city apart from the majority of Massachusetts municipalities that have imposed temporary or permanent bans on recreational companies, or sequestered them in outlying industrial parks. They also praised the administration of Boston Mayor Martin J. Walsh for developing the zoning rules, despite Walsh’s strong opposition to the 2016 marijuana legalization measure. At least 190 communities have enacted restrictions on marijuana operators — including cities such as Somerville that voted decisively in favor of legalization. Somerville has a moratorium in place while officials work on zoning rules. Retail pot sales are expected to begin in July. One provision of the Boston rule prohibits any marijuana business — recreational or medical — from opening within a half-mile of another. Activists said that will effectively grant geographic monopolies to businesses that first “claim” a given neighborhood, and fear the system will benefit established companies over startups and smaller players. Indeed, some prime areas of Boston are off-limits under the buffer rule because they already have licensed medical marijuana dispensaries. For example, the half-mile radius around the Patriot Care dispensary on Milk Street includes much of downtown, the waterfront, and Chinatown, and parts of Beacon Hill and the North End. Other dispensaries are planning to open on Newbury Street and in Allston. Most medical marijuana dispensaries, including Patriot Care, are also seeking recreational licenses. Vogt and other activists noted the Massachusetts Cannabis Control Commission, as required by the state’s marijuana law, is trying to encourage businesses that are owned by or employ people from communities that had high rates of drug arrests. “I have friends whose fathers were taken from them, who had to grow up without parents because of the attack on marijuana,” Laury Lucien, a black entrepreneur and attorney who wants to open a marijuana business in Boston, told the zoning commission. 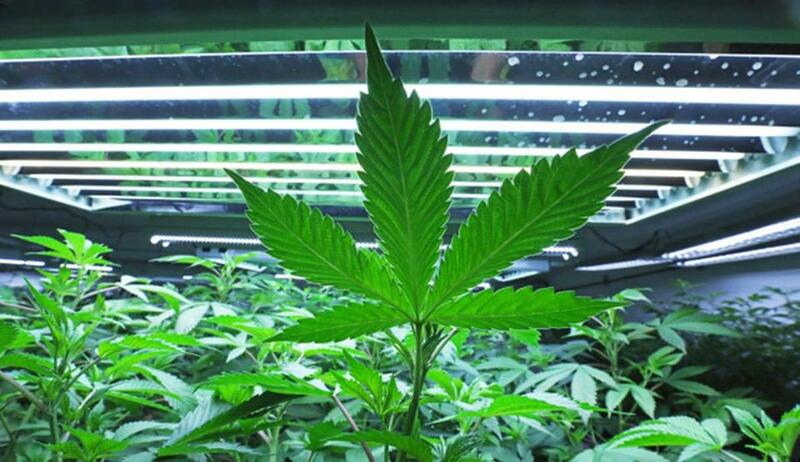 City officials and some industry members countered that the buffer should encourage marijuana companies to spread to neighborhoods beyond core commercial districts such as the Back Bay and downtown. They also said marijuana companies can seek exceptions to the half-mile buffer from the city’s Zoning Board of Appeals, though activists are concerned that process is expensive and time-consuming. Youmans, the lobbyist, said the zoning review tends to favor applicants with strong local ties. “Knowing the neighborhood associations and business owners next door is vital,” he said. Under state law, cities and towns cannot summarily turn away retail pot applicants until a certain number — equal to 20 percent of the number of liquor stores in the municipality — are open and operating. Even with the buffer in place, Boston officials said there should be enough room for the city to hit its floor of 56 pot shops. In Boston, each prospective marijuana company must undergo an intensive local application process that includes meeting with neighbors, getting zoning approval, and signing a so-called “host community agreement” that typically requires payments to the city. Applicants must then win a license from the state, too. The Boston zoning regulations also bar pot firms from opening within 500 feet of an existing kindergarten, elementary, or secondary school.